The research program and the informed consent document were approved by Chesapeake LRB, Columbia, MD. The 105 participants who met the eligibility criteria were included in the study and randomly divided into 6 study groups. They were tracked for 5 days to analyze the data derived from their urine, nicotine content, and exhaled CO and NO quantities. 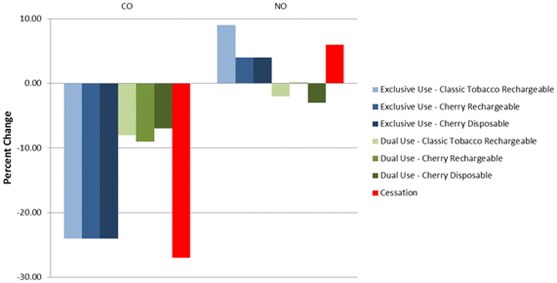 Subjects converted to e-cigarettes had a significantly lower level (29 percent–95percent) of urine BoE after 5 days. The nicotine equivalent decreased by 25percent–40percent. Dual users who used e-cigarettes to replace half of their self-reported daily cigarette consumption experienced a 7percent–38percent reduction, but the nicotine equivalent increased (1percent–20percent). The levels of blood nicotine biomarkers in the smoking cessation (75percent–96percent) and e-cigarette use group (11percent–83percent) were low; the exhaled CO of all groups decreased significantly (27percent–89percent). By the 5th day, there had been a greater decrease in smoking impulses for all groups than for quitting smoking. 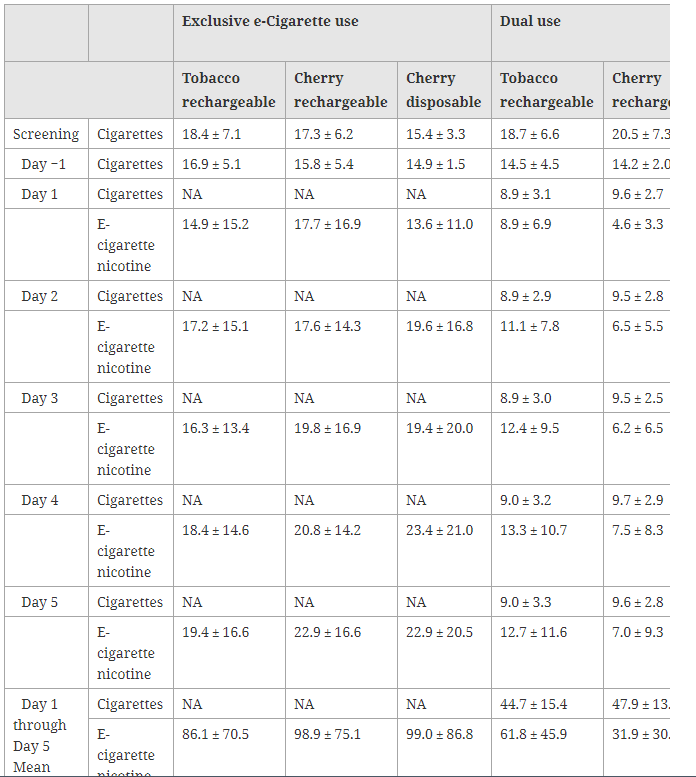 Harmful smoke poisons were observed to be less exposed in smokers who replaced cigarettes completely or partially with e-cigarettes within 5 days. It fully shows that e-cigarette vaping is safer and more reliable than smoking.